As Microsoft Silver Cloud Partner (and on our way to Gold) we have provided many cloud based solutions for our customers utilizing Microsoft Azure. The depth and breadth of solutions available on Microsoft Azure is now second to none, it provides flexible, cost effective solutions to replace on premise infrastructure and offers significant advantages in many areas. It provides a flexible approach to your IT requirements, allowing you to scale up and down your resources & licensing, is easy to manage, and offers a truly viable solution for our clients to reduce on premise infrastructure and support requirements. 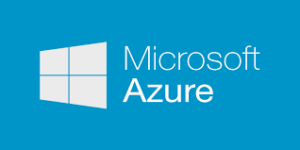 We use Microsoft Azure to provide industry leading solutions that replace traditional on premise solutions that support critical your business applications and infrastructure. This reduces the up front cost, maintenance and support of On premise hardware and software infrastructure. Talk to us to understand the advantages of utilizing cloud infrastructure, and the hybrid scenarios that can co-exist with traditional On premise solutions.